Satisfaction is very much important for each and every one and most of the people work hard for that; from employees to employers, students to teachers, workers to bosses, patients to doctors, husband to wife, kids to parents, customers to businessmen and it just continues!!! There are two types of satisfaction: self-satisfaction and other’s satisfaction. Self-satisfaction is what we get and other’s satisfaction is not actual self-satisfaction; it's just a wrong assumption. 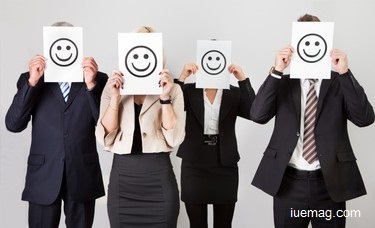 The employee will feel satisfied when there is no negative feedback from his manager or boss on his work, and even managers and boss also feel the same. The actual thing is that the employee should feel satisfied not because his boss or manager didn't comment on his work, but because he did his work very promptly and sincerely. Student feels satisfied when s/he has completed her/his homework or project given by teacher; actually students should feel satisfied because they learned new things but it's not happening everywhere. Patients feel satisfied when their illness gets cured, but they are forgetting to feel satisfied when they know that they can lead a life in a better way. Parents feel satisfied if they are giving good schooling to their kids and more satisfaction if their kids study well, but they are forgetting to be satisfied as their kids are developing to lead a life on their own feet. A businessman feels satisfied if he earns enough profit. Instead of this, one can feel more satisfied because he improves the life of many people in the society with his company’s product/s or service/s. We can easily tell from all the above that we are satisfied because others are satisfied by our work. The result of this is that our output will get restricted when it reaches some extent. The actual doer never gets satisfied because others are satisfied. We should always try delivering the output which makes us feel satisfied because we did it and not because others are satisfied. When we work for our satisfaction we can create miracles with our excellence.